Many engineers began tinkering in childhood, opening up household appliances to understand how they operate. Now, some apply the same "reverse engineering" techniques to learn about systems, create better products, and even discover industrial secrets. Read about the value of "mechanical dissection" in this week's feature, and then involve your students in a lesson with disposable cameras. In this lesson, students in grades 6-12 practice reverse engineering to understand the inner workings of a device. The class is divided into two. Each section takes apart one of two single-use cameras, developing a systems diagram and reassembly instructions. The two sections then switch cameras and attempt to rebuild them, using the instructions developed by their peers. Students in grades 5-8 might try a simpler disassembly exercise involving a push toy. When the first iPhone hit the stores in 2007, some people bought one just so they could take it apart. That kind of inquisitiveness is now being hailed -- and used -- in the classroom. By dismantling bicycles, power tools, and toys, students get hands-on experience that helps them design products of their own. Education Secretary Arne Duncan has named 18 states and the District of Columbia as finalists in a contest to demonstrate the best school reform plans. Winners -- there could be 10 to 15 -- will share up to $3.4 billion. 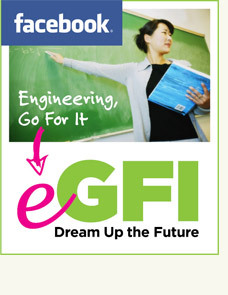 Attention, teachers: We've just launched a new Facebook page called Teach K-12 Engineering with eGFI! On it you'll find more lesson plans, class activities, feature stories, and K-12 education news. Check it out and tell us what you think!